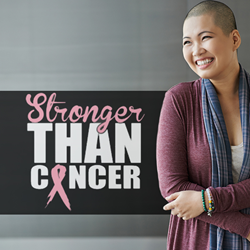 Radabaugh & Associates, a comprehensive insurance and financial preparation agency that serves families and business professionals in central West Virginia, is embarking on a regional charity drive to raise awareness of breast cancer realities and generate donations for ongoing cancer research. Breast cancer has long been the most commonly diagnosed cancer in women, and one new breast cancer diagnosis is received on average of every 2 minutes nationwide. This charity event aims to provide women in West Virginia with cutting edge information on breast cancer detection and prevention techniques as well as encouraging all residents to join the fight against breast cancer. “It is important to participate and find a way in which we can assist those affected during the challenge, until victory,” says Jeremy Radabaugh, executive director and principal agent of Radabaugh & Associates. Current efforts by the Radabaugh team to generate public support in the Morgantown region for the charity event are focused on online channels, including a dedicated social media presence and an email update system. Additionally, Radabaugh & Associates will be releasing a feature article discussing the charity event which will appear in the newest issue of “Our Hometown,” a local interest webzine hosted by the firm: http://insuranceinwv.com/magazines/. Several other noteworthy charitable causes in West Virginia have received publicity support from Radabaugh & Associates over the last few months. As regional representatives of the Agents of Change charity support coalition, the firm will be announcing additional regional charity events every sixty days in the months to come. Radabaugh & Associates has made the following page available for all readers who want to learn more about the Morgantown area breast cancer awareness charity drive or those who wish to get involved and be part of the event: http://insuranceinwv.com/causes/hope-courage-strength-breast-cancer-fighters/. All new charity drives announced by the Radabaugh team will be listed on the agency’s Community Causes page, which can be bookmarked here: http://insuranceinwv.com/community/. As a Personal Finance Representative in Morgantown, agency owner Jeremy Radabaugh knows many local families. His knowledge and understanding of the people in his community ensures that clients of Radabaugh & Associates are provided with an outstanding level of service. Jeremy and his team look forward to helping families protect the things that are most important – family, home, car and more. Radabaugh & Associates also offers clients a preparation strategy for achieving their financial goals. To contact an expert at Radabaugh & Associates, visit http://insuranceinwv.com/ or call (304) 777-2453.